So I hold an undergrad degree in Marketing and I am working on my M.B.A. Just trying to be great in the world (lol). I’m always interested in professional development workshops and events. And now I am making more time to actually read books others than text books. 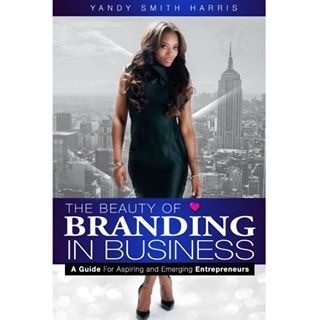 So, I just finished The Beauty of Branding in Business- A guide for aspiring and Emerging Entrepreneurs by Yandy Smith Harris (Love & Hip Hop NY cast member). When I saw Yandy post her book on Instagram, I thought it would be a great read for me. I watch her on the show and I love the work that she does. So I clicked the link to purchase the book. The book sales for like $10 I like but I Paid $7. I did not know it was a claimed “e-book”. So after you pay, the website tells you the book will be e-mailed to you. Okay! I’m thinking the download will be sent to me to download to my Kindle. No! It’s a PDF file and its only like 32 pages. Now, I have mixed feelings about this. First things first, as a business woman I look up to Yandy. I think she is a great business woman, who is self-less and shares her passion with everyone. But I expected more. Presentation is everything and my expectations were high. But on the flip side I don’t really like e-books, so I just printed the claimed “e-book” and read the hard copy, so I could highlight and take notes. I mean that’s how I read. The book starts off slow for me. I mean the first chapter is about “what is a brand?” and it was all information that I already knew. And it was written in like a textbook style to me. But then I had to think about it, like “not everyone is a marketing major Kadii…” so I continued to read. As I completed the chapter, I analyzed some of the things she mentioned and about branding and I feel like her guide does not pertain to general branding. In my opinion, It’s more specific to her brand, Everything Girls Love. Again, not what I expected. I will say that reading the information I already learned in the classroom, refreshed my brain to think of way I can enhance my brand, PassionLocked- as I continue to build. So very informative and gives good insight into building brands. I did learn a few techniques or ideas I want to incorporate into PassionLocked. The book, guide, or claimed “e-book” (whatever!) gets good for me at the “Being ‘everywhere’ chapter. Which speaks about how to use your brand in your marketing.